Melton Mowbray Tennis Club completed a hat-trick of Division One titles when they recorded a near-perfect display to whitewash mid-table Charnwood 9-0. 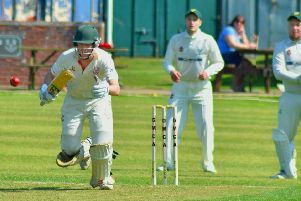 With the men’s first and ladies’ first team having taken their respective titles weeks earlier, skipper Charlie Griffin was keen to make it a treble for the club by taking the Division One Mixed League title. Players involved in this year’s success along with Charlie were: Corinne Blythe, Jess Gadsby, Sibella Chew, Ellie Jenkins, Sumitra Fox, Sarah Diver, Tom Rowe, James Rowe, Ryan Parmar and Etienne Ellis. The young players, several of whom have been with the club’s coaches since primary school age, extended their incredible unbeaten record to five seasons. Scores: R. Parmar/C. Blythe W 9-5, 9-0, 9-6; J. Rowe/J. Gadsby W 9-2, 9-3, 9-1; E. Ellis/C. Griffin W 9-4, 9-0, 9-1. The result just leaves the club’s mixed second team with a last-match title decider against favourites Hinckley Firsts which will decide the winners of Division 3B. The club has won a Loughborough Indoor League title, and Summer League crowns for the men’s first and second teams, ladies’ first team and mixed first team as well as another Men’s Aegon League title and runners-up spot for the ladies’ second team.